SEOUL -- Hyundai Motor and affiliate Kia Motors forecast global sales to rebound in 2017 by a stronger-than-expected 5 percent, after posting their first annual sales fall in nearly two decades last year. Sales could get a lift this year with emerging markets such as Russia stabilizing, and with Hyundai and Kia Motors gearing up to boost supply to the United States and China, analysts said. But margins could come under pressure as the South Korean duo - which together rank fifth in global sales - plan to add capacity in China and Mexico, just as many analysts expect those markets and the United States to slow. "With the global economy continuing its low growth, trade protectionism spreading and competition intensifying in the automobile industry, uncertainty is growing more than ever," Hyundai Motor Group Chairman Chung Mong-koo said in his New Year message to employees on Monday. The projected 5 percent rise in global sales for 2017 to 8.25 million vehicles easily beats the 1.9 percent rise forecast earlier by Hyundai Motor Group's own think-tank. "The 2017 goal is slightly higher than my projection," said Ko Tae-bong, an auto analyst at Hi Investment & Securities. Hyundai Motor likely clocked its fourth straight annual profit decline in 2016. Sales were hit by its sedan-heavy line-up, which meant it missed a boom in SUV demand, and sluggish emerging markets. Hyundai Motor sold 4.86 million vehicles compared with its target of 5.01 million last year. Kia Motors sold 3.02 million vehicles, shy of its goal of 3.12 million. Hyundai Motor is now targeting 2017 global sales of 5.08 million vehicles, while its smaller affiliate set its goal at 3.17 million vehicles. Kia Motors Vice Chairman Lee Hyong-keun warned of tough competition in the year ahead. "Rivals are expected to launch a full-blown assault based on their cost competitiveness," he told employees. 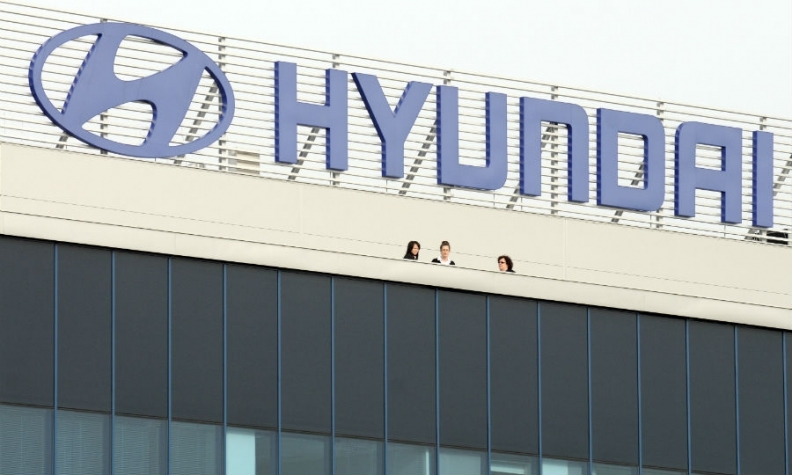 Executives paid the price for Hyundai Motor's rough year. The automaker's top U.S. executive resigned and the South Korea sales chief and China head were replaced.